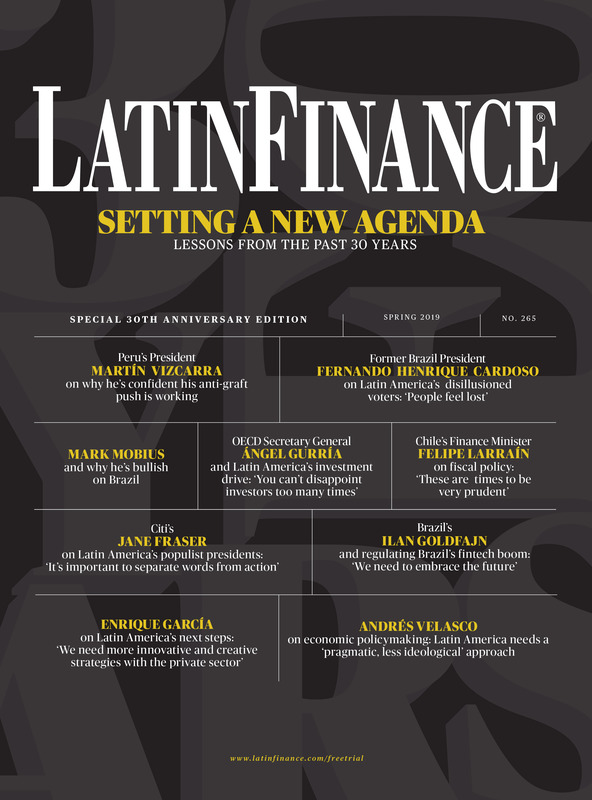 LatinFinance's Spring 2019 issue celebrates 30 years of covering the markets of Latin America and the Caribbean. This special edition seeks to reflect in part on lessons from the past, in an attempt to understand the drivers of the region’s financial and economic development over the next era. Access is free—simply fill out the form below to read the 30th anniversary edition now. © 1988–2019 Latin American Financial Publications Inc.